Amazon's going to have to find a new name for its in-app purchasing API. On Tuesday, the company announced that it's expanding the API out from its Android-only confines to games made for PCs, Macs, and the Web, giving gamers the ability to pay for premium in-game content using their Amazon accounts—if the game's developer decides to utilize Amazon's API, that is. Tying into Amazon's API bypasses most of the headaches traditionally associated with in-app purchases, namely the need to manually enter your financial details, and entrust them with the maker of the game you're playing. If a game supports Amazon's in-app purchase API, you only need to sign into your Amazon account and start one-click ordering to your heart's content. 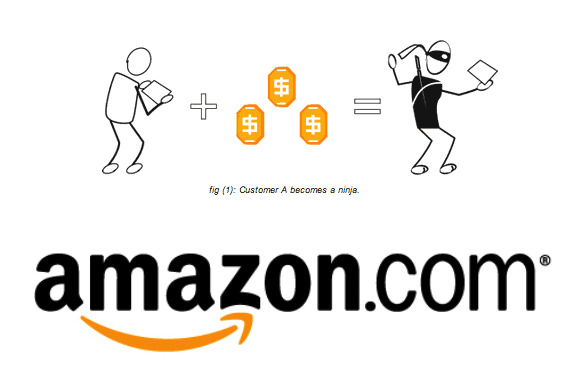 It's quick, easy, and as secure as any other Amazon transaction. Amazon's support structure goes past purchases. Developers have a few other incentives to integrate Amazon's payment solution, as well. 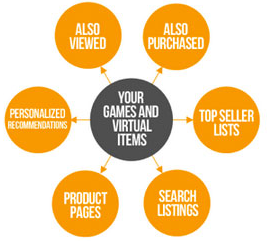 Amazon provides fraud detection technology and customer service support for any transactions made using the API, and any in-game items available for purchase via Amazon's system automatically show up on Amazon.com, complete with the ability to appear in the company's bestseller lists and recommendations for individual users. "We’re passionate about making game developers successful, and we’ll continue to build services that make monetization easier and remove undifferentiated heavy lifting from developers," Amazon Games director Mike Frazzini said in the company's press release. There is a downside to Amazon's in-app purchasing system, however: The company takes a cut of all transactions made using the API, though it isn't clear just how big that cut is. Amazon's developer page for in-app purchases simply reads "For In-App Purchasing for PC, Mac and Web-based games, please contact us to discuss revenue share." Utilizing the payment system costs Android developers a 30 percent slice of every transaction, a standard rate in the mobile arena. Apple, Google, and Microsoft charge developers an identical rate for similar transactions made in their respective app stores. Developers are accustomed—some may say resigned—to paying the house a cut on locked-down mobile platforms, of course. Will PC, Mac, and Web developers used to a more open ecosystem be as willing to give up a chunk of their revenues in exchange for the simplicity and security of the Amazon payment system? Game makers have been some of the most vocal critics of Windows 8 and Microsoft's curated Windows Store. Amazon's pricing structure will surely be scrutinized by curious developers once more details are known.